Photo: Courtesy of Pegasus Books. Some of life’s most enjoyable pleasures are also the simplest — a glass of wine, a good book, and someone to share them with. 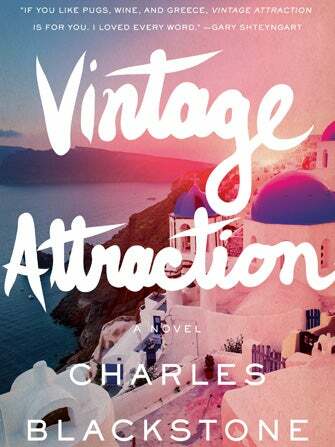 Chicago author Charles Blackstone’s debut novel, Vintage Attraction, perfectly blends the three in a story about an English professor who falls in love with a beautiful wine expert he sees on television. Lonely and unhappy, Peter Hapworth pitches himself as a guest on Isabelle Conway’s wine show, and the two begin a romance that takes them everywhere from Chicago to Santorini. If the book seems to capture the intoxicating effects of love and wine alike, it’s because they probably do. Blackstone, a Chicago native, is married to Alpana Singh, one of only 201 experts in the world who’ve earned the distinction of master sommelier (she was also the youngest woman, passing the exam when she was only 21!). They say that wine gets better with age, but Vintage Attraction is already buzzing with great reviews, so make sure to grab yourself a copy when it comes out on October 22.